A new monument, unveiled in Moscow today, was designed to replace the World War II memorial that was blown up in the Georgian town of Kutaisi a year ago. Two people were killed during the demolition when they were hit by flying concrete debris. 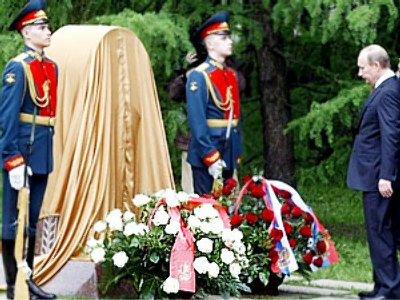 The decision to destroy the memorial was criticized in Moscow and prompted calls for the restoration of the monument, including from Prime Minister Putin and the Union of Georgians in Russia. 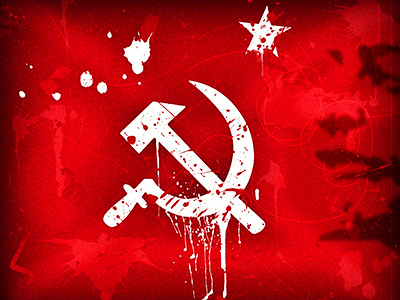 “The shameful act of state vandalism caused sharp criticism and indignation across the world, and first of all in Georgia, because people don’t want to follow those who destroy the memory of their own heroes, turn away from their own history, of age-old traditions of friendship and mutual support,” Vladimir Putin said at the opening ceremony. Russia's Prime Minister was the one to lay the foundation stone for the new monument in May. 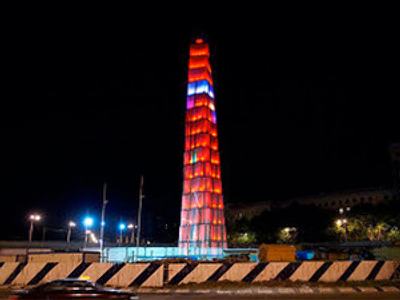 The Moscow monument symbolizes the joint efforts of the Russian and Georgian soldiers who fought together against Nazi Germany. The monument has been erected at Poklonnaya Gora in central Moscow, the territory that houses a vast World War II memorial complex. Georgian opposition leader Nino Burjanadze and former Georgian Prime Minister Zurab Nogaideli also attended the opening ceremony. Entitled ‘We fought fascism together’, the memorial is 14.5 meters high and depicts the planting of a Soviet flag over the Reichstag.